BEETHAM’S ANGER: Youths listen as the man at left, explains what led to an outbreak of violence on the Beetham Highway yesterday where gunshots were fired, debris hurled onto the highway and panic set in among drivers. PHOTO BY RATTAN JADOO. She and another officer got out of the car and began clearing the debris when gunshots rang out. “We had to duck and take cover behind our vehicle while officers called for back-up,” Hodge-Griffith said. 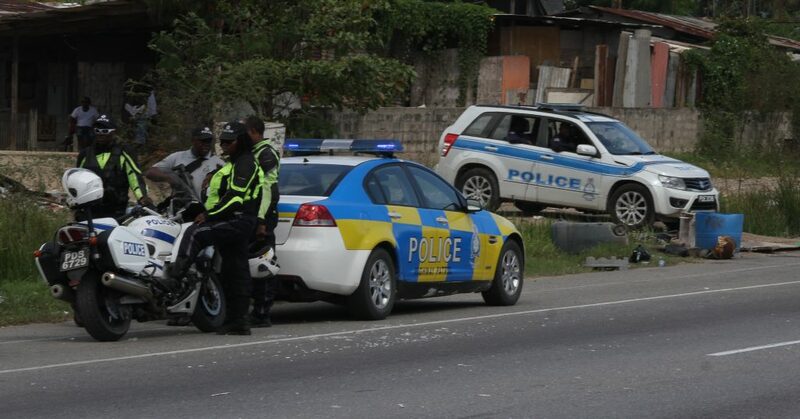 Traffic came to a halt on the east-bound lane of the highway as some drivers, fearing being assaulted and robbed, turned their vehicles and proceeded west on the highway back into the city. Reports of people being robbed while stuck in traffic soon began to come in, both to the police and across social media. “Where I living? I was in the middle of this,” comedienne and radio host Nikki Crosby said in a Facebook post. “Two fellas with big stones each trying to hit my Hilux while I am hearing shots in the back. Another traumatic event to recover from,” she wrote. The post was accompanied by a video, taken from inside her van, which showed angry residents throwing debris onto the highway. Police confirmed receiving reports of bandits pulling people out of their cars on the highway. Peace was restored when police in riot gear and soldiers arrived. 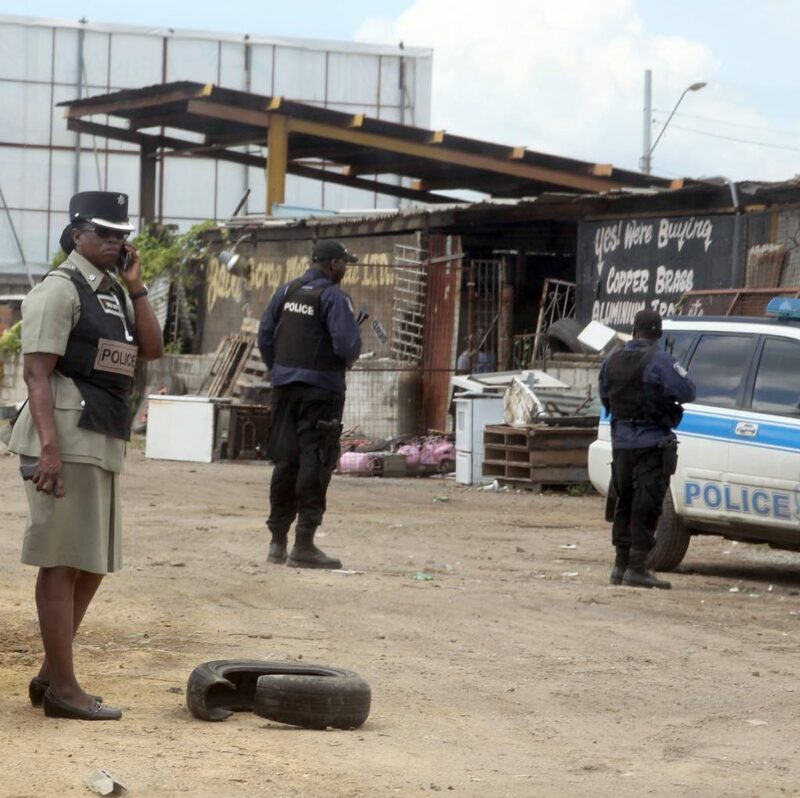 Officers took up strategic positions on the highway, bus route and the main road while workers from the Port of Spain City Corporation cleared the debris. 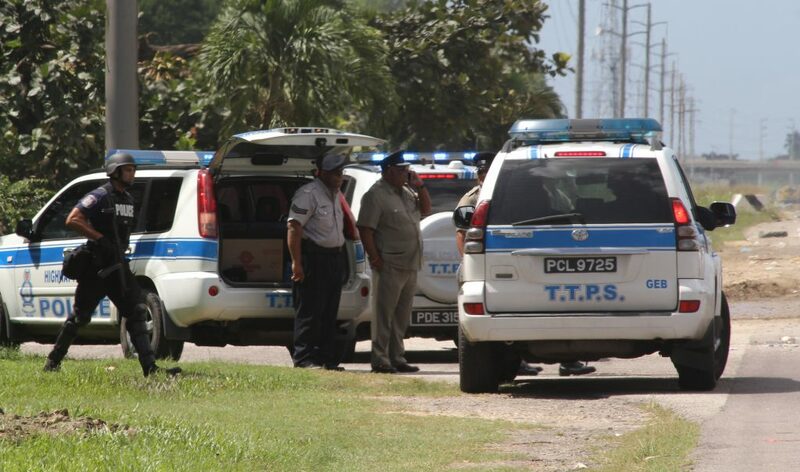 The chaos and violence started after police and soldiers, led by PoS CID head Snr Supt Ajith Persad arrested two Beetham residents who police described as gang leaders, but who residents later told Newsday are community leaders. Immediately after the arrests, residents blocked the highway with garbage, barrels, wooden palettes and other debris. 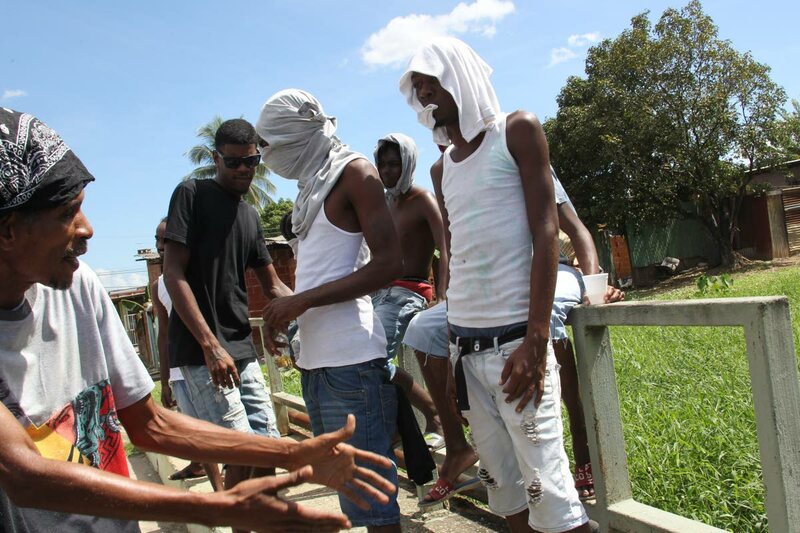 While Beetham residents said the action was precipitated by the arrest of the two men, they also said the community has been seething for years owing to consistent neglect, poor infrastructure, poor drainage, a lack of job opportunities and general disregard from the MP. “They just come and lock up people just so,” said one resident. “It have mothers here whose child-fathers are behind bars for nothing." "The police didn’t come and find nothing here and they just pick up people and go. That is why we have to block up the roads because when people start to feel it in the traffic, then they will finally come down to speak to us and hear all of our grievances,” another said. A voice note circulated on WhatsApp and other social media platforms threatened violence on road users and the police until the two men are released. The note stated (unedited): “Right now hear wha going on, dey *expletive* lock up we dawgs and we ent taking dat so. Dis is how we does want we justice and we go burn *expletive* rubbish in the road. Police sources said they were aware of the voice note but assured that all contingency plans were in place and police and soldiers would maintain a visible presence in the Beetham until normalcy returns. Up to press time, both suspects remained in police custody. 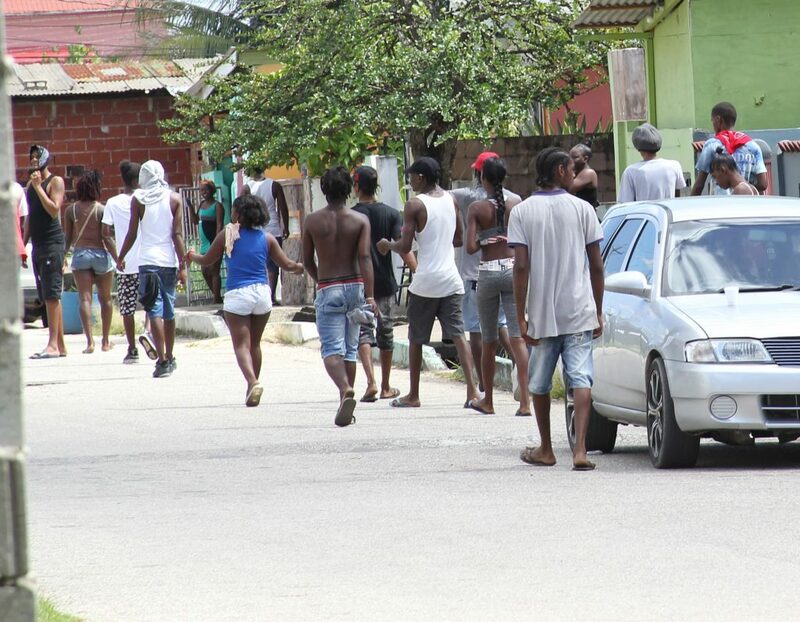 Residents of Beetham Estate exploded in rage and fury this morning, reacting bitterly to the arrest of two alleged gang members in their community. Without even trying to hide their faces, the residents spilled out into the highway, tossing debris, bringing traffic to a standstill. While frightened drivers made U-turns to get out of the area, truck drivers barrelled through the debris, with hostile residents firing missiles and expletives. No one was safe: some of the unruly residents pelted the police. A Newsday team is in the danger zone, which spread to the Priority Bus Route. The situation remains tense as police try to wrest control.